Patriot USB Low Level Format tool allows you to repair and format corrupted Patriot USB flash drive and Patriot Card Memory .Patriot Low level formatter will erase all data from your USB stick . Patriot format tool can used only with Patriot Flash drive and it checks the usb ports before formatting automatically .If you have a formatting problems like (windows can't format the disk ,Write protected patriot memory stick,Raw volume ,Zero capacity ,the patriot capacity is 8MB or 15 Mb which is smaller than the actual volume ) , please you can try using Patriot Low level formatter software . Patriot USB Low Level Format tool provide you by two choices Format and Restore to factory settings. This software can fix the most famous Patriot USB flash drives. First Download Patriot format tool from the download links in the bottom of this article then insert your corrupted patriot flash drive to your PC .Open Patriot Format & restore utility , then click on Format if you want to format and restore if you want to rest the memory to the factory default setting . 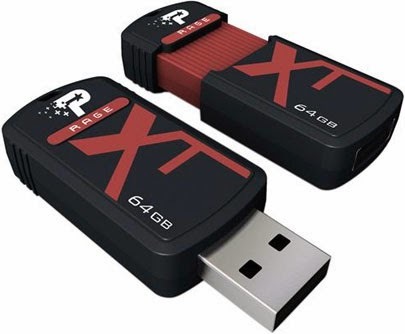 Choose the patriot usb drive and choose the type of format that you want FAT or NTFS .To begin Formatting process , click Format . 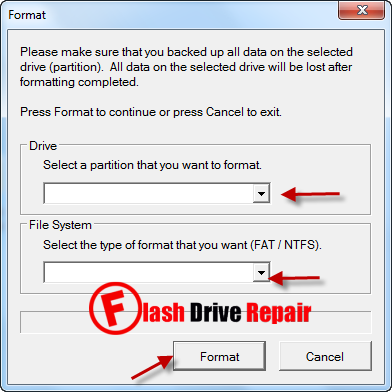 Wait three minutes until finish formatting your Patriot USB pen drive .In the case of unsuccessful formatting ,Please try the Patriot format software in this article "Patriot usb stick format tools " .Also you can use Generic USB Format tool to repair Patriot USB disk . If no software of those work with you , don't give up and you must read this article "Full Guide of Best USB Flash drive repair software " . I will be so happy if i can help you so please if you have a flash drive problem , write the chip genius report of your flash drive in a comment . Don't forget to tell us your flash drive repairing story to help other friends .You can subscribe to our Facebook Page to receive the latest articles of Flash Drive Repair Website . The software cannot find my device.